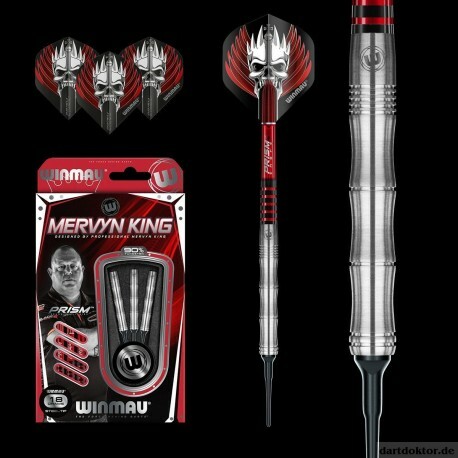 WINMAU Mervyn King Darts. 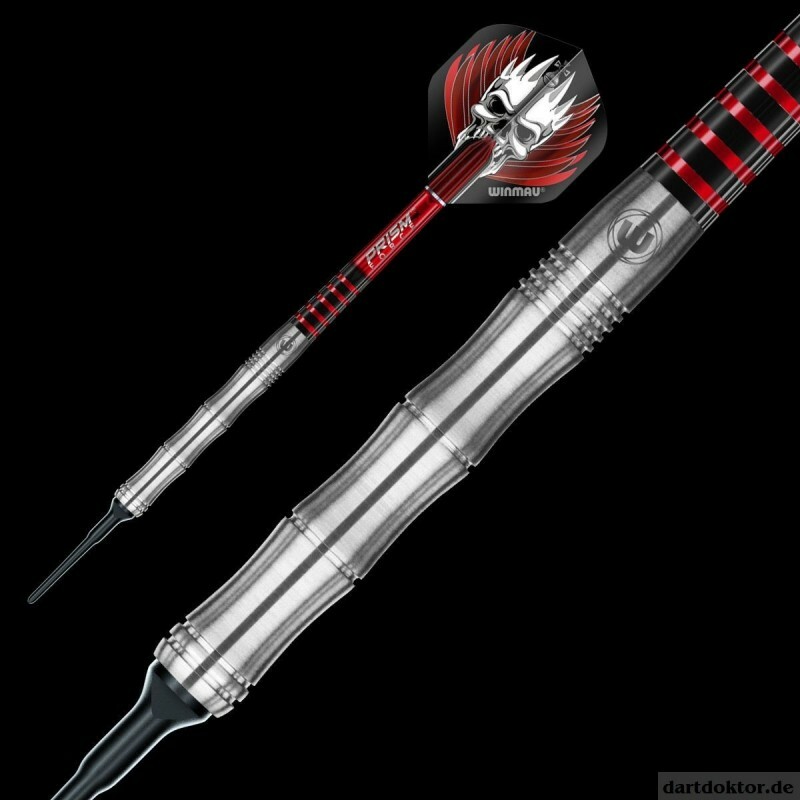 Gewicht 18g. 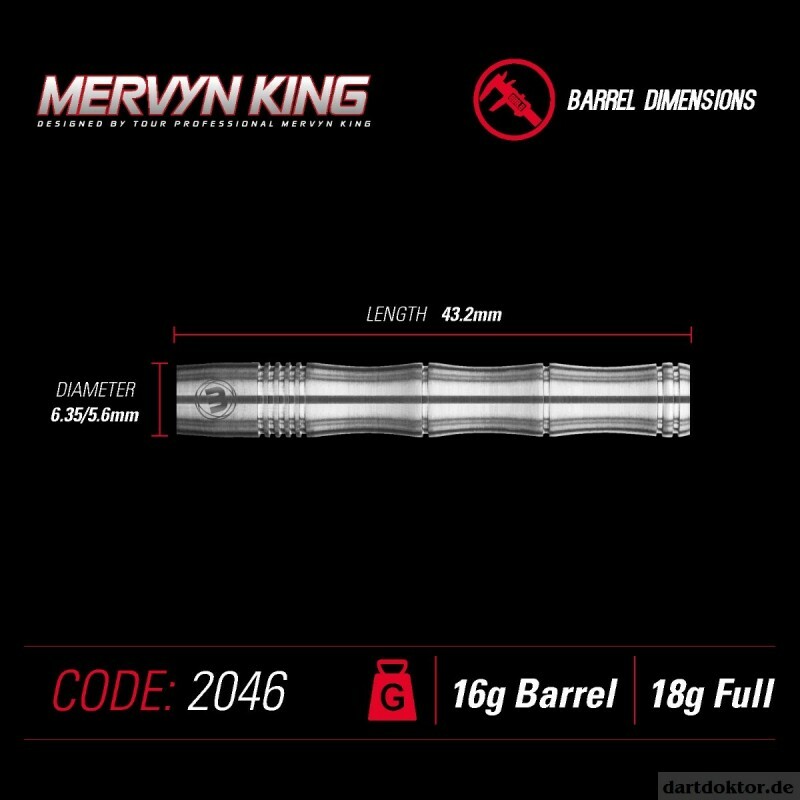 Mervyn "The King" King is a worldwide multiple tournament winner and is one of the most consistent dart players on the professional circuit. 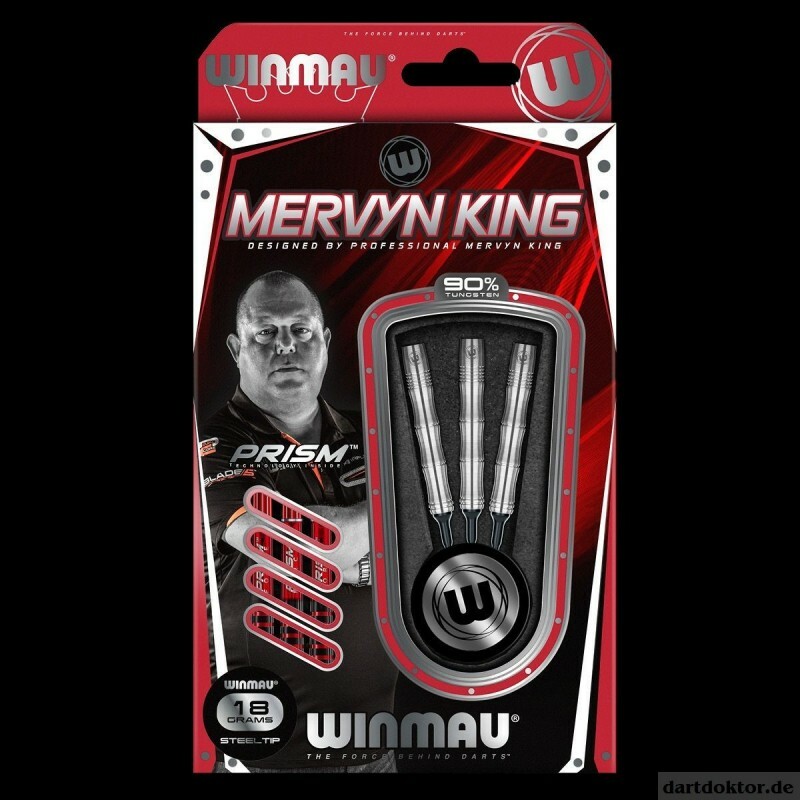 Mervyn demands total precision in his darts to ensure consistency in his throw, which is why he only uses Winmau match weighed tungsten darts. Rule the oche with Mervyn's uniquely sculpted tungsten darts.